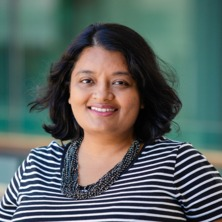 Dr Sowmya Shetty is Lecturer in Dentistry at The University of Queensland, School of Dentistry. Her research interests are in understanding dentine permeability and links to bonding mechanisms as well as sensitivity, virtual surface mapping in tooth wear, CAD/CAM, fatigue test design and evaluation, fracture surface analysis and failure forecasting. Master of Dental Surgery, R.Gandhi Health Scis. Shetty, Sowmya (2011). Understanding the reliability of all-ceramic zirconia restorations PhD Thesis, Kings College London, University of London, University of London.